The Board and Management of Sturt Football Club wish to advise our members and supporters that we, along with other Foundation SANFL Clubs, wish to retain our players should they be selected by the Adelaide or Port Adelaide Football Clubs in the AFL mid-season rookie draft for the remainder of the season, in which they are drafted. This draft, along with the pre-season supplementary list draft, was recently introduced by the AFL much to the disappointment of SANFL Clubs. 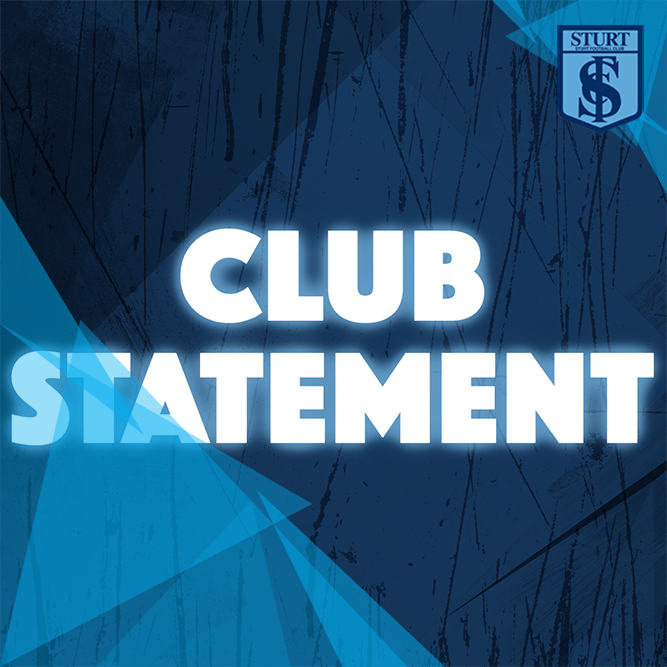 Sturt Football Club supports our players being drafted and accepts that any player taken by Adelaide or Port Adelaide would be required to train with the AFL side, however we strongly believe the player is to be released to play for their SANFL Club if not selected for senior AFL duty. This is to include minor round and finals games. This is the model that the West Coast Eagles have agreed to with the WAFL clubs. The SANFL, at the request of the Clubs, has approached both Adelaide and Port Adelaide regarding this request and we await their response.